Writing for MLive, Michigan Economic Center director John Austin argues for a number of policies that don’t work the way he says they will. Perhaps his most fundamental problem is his belief that getting more Michigan residents college degrees will improve state incomes. “Look at high income states in the nation — and the higher education attainment levels that drive that dynamic,” he writes. The numbers may work out for individuals — people with college degrees tend to have higher incomes — but it doesn’t follow that increasing a state’s educational attainment improves average incomes. This may sound like a paradox, but the numbers back it up. Increases in the share of state residents with a college degree are unconnected to income growth. 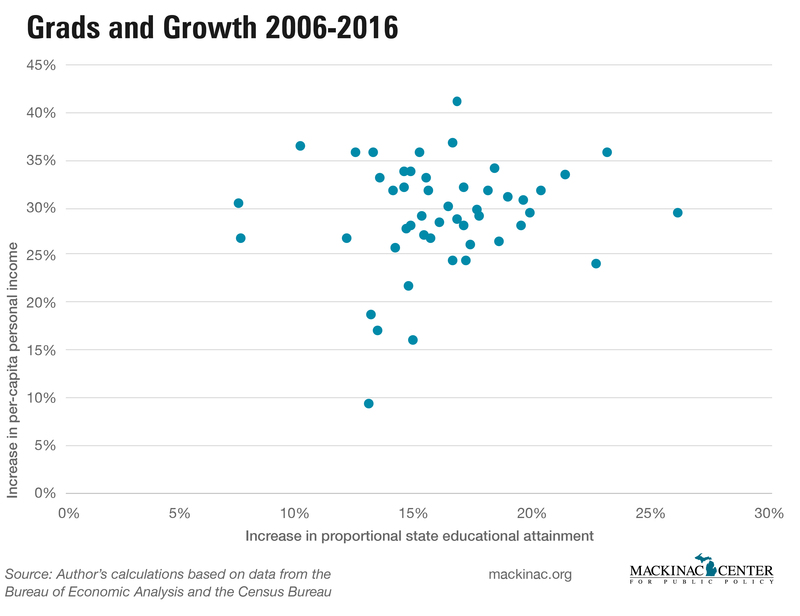 Here is a scatter plot that covers the growth in the proportion of a state’s adult population with a bachelor’s degree or higher and its per-capita personal income growth over a 10-year period. Each state is a dot. 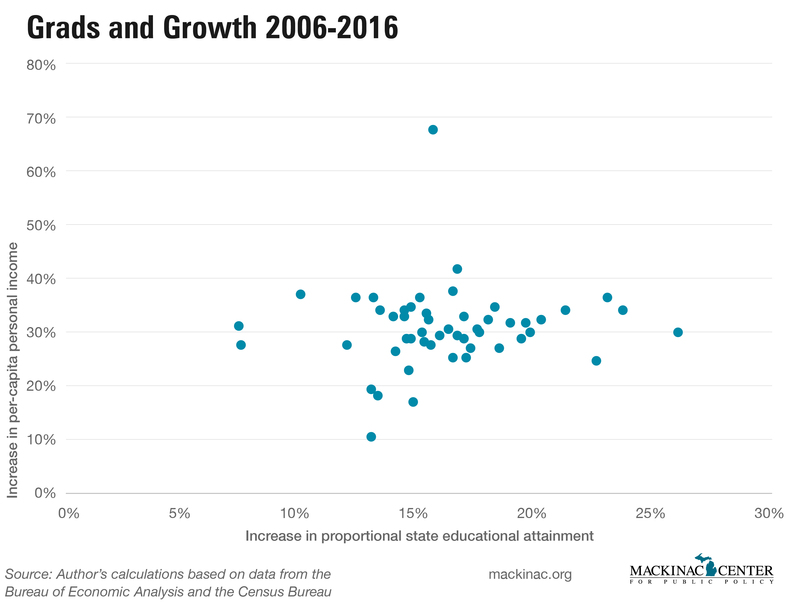 If getting more graduates improved growth, the dots would converge around a line that rises to the right hand corner of the chart. But there is no connection. Oil boom state North Dakota, with its exceptionally large growth in income, stands out. 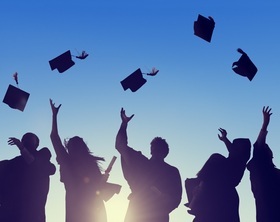 Without it, there still seems to be no connection between grads and growth. In his recent book, economist Bryan Caplan explains why there may not be a connection between graduates and state economic growth. He argues that most of the value that students receive from college is not through attaining valuable skills that are rewarded in the marketplace, but rather through signaling to future employers that they will be good workers. That may be a valuable signal for an individual, but not something that increases overall productivity. Signaling to employers that you’re going to reliably show up on the job, conform to workplace culture and be a diligent worker can provide a personal benefit, but it doesn’t pull a state into prosperity. There is a lot that goes into an area’s prosperity. Getting more of your residents a college degree is far less important than Mr. Austin says.